Even in a city that prioritizes freeways over sidewalks, the stroll to the Hollywood Bowl is iconic, rite-of-summer. The uphill jaunt is almost exactly a mile, starting from the front door of The Hollywood Roosevelt and heading uphill on Highland Avenue. On many summer nights, thousands make that trek to their seats, whether they’re in VIP sections or in the very last row. At the base of the amphitheater, though, is one of the venue’s hidden gems, tucked away in an otherwise nondescript building that, from the outside, could pass for a new office tract in Playa Vista. 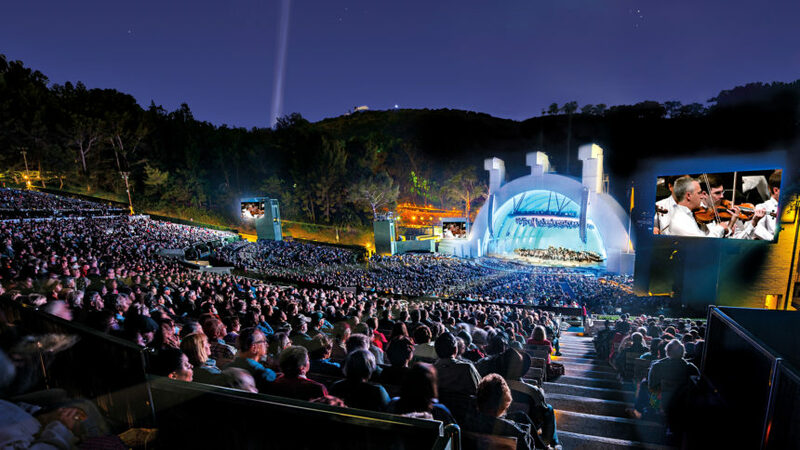 There sits the Hollywood Bowl Museum, a repository of information about and artifacts from the venue that has been a part of the city since the 1920s. It has a giant task: To describe the history of the Bowl as a venue and as a part of the fabric of Los Angeles life is a task worthy of several volumes. Created in 1920, the Bowl is a quintessentially Los Angeles institution, one that welcomes visitors throughout the warm LA summers. 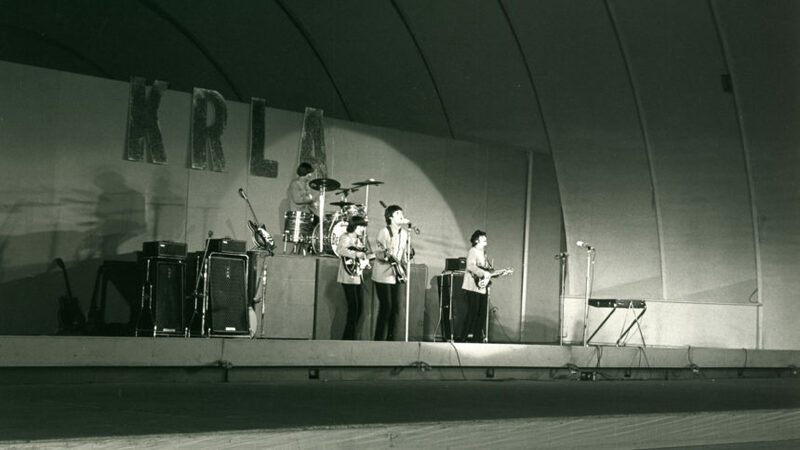 The Bowl has hosted The Beatles and Monty Python, The Doors and Duke Ellington, and artists both famous and obscure. 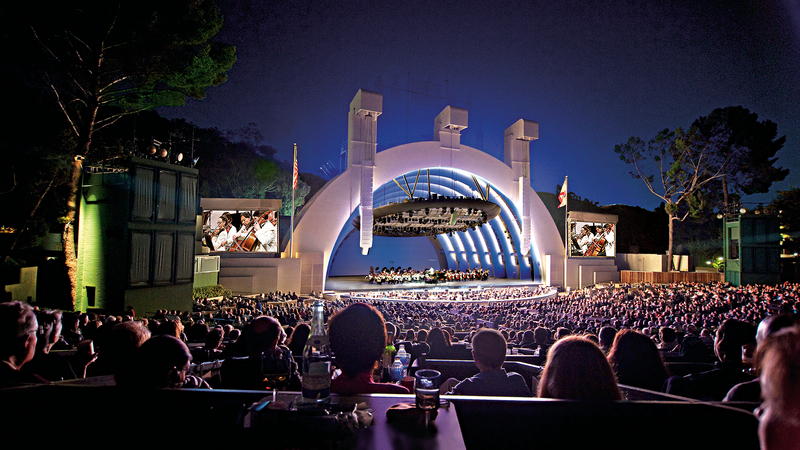 Frank Sinatra played the first popular music show here in 1943, backed by the Los Angeles Philharmonic orchestra, a pop-and-classical pairing idea that persists to this day (Bryan Ferry of Roxy Music fame will play with the Hollywood Bowl Orchestra in late August this season). The permanent exhibit on the first floor is dedicated to that history of the venue, starting from the makeshift stage in Bolton Canyon that hosted the first official season in 1922. Architectural models of the Bowl’s four different bandshells (the personal favorite display of Director of Archives and the Museum, Ljiljana Grubisic) share space with drawers of posters, tickets, and other paper paraphernalia from nearly a century of operation. The second floor is where the museum hosts rotating exhibitions, each examining a different element of the venue’s history. The current collection, “Jazz at the Bowl,” celebrates the history and influence of the genre at the Bowl, with individual displays for artists like Ella Fitzgerald, Ray Charles, and Duke Ellington, among others, along with timelines and audio examples pulled from the Bowl’s collection of live recordings. The exhibit traces the history of jazz at the venue, but the parallels between the Bowl and the wider culture are obvious, including the importance of vocalists in pushing the genre to the forefront; the first jazz show at the Bowl as a part of its season was that Frank Sinatra set, featuring covers of songs by Cole Porter (“Night and Day”) and George Gershwin (“Embraceable You”) that would go on to be jazz standards, among others. 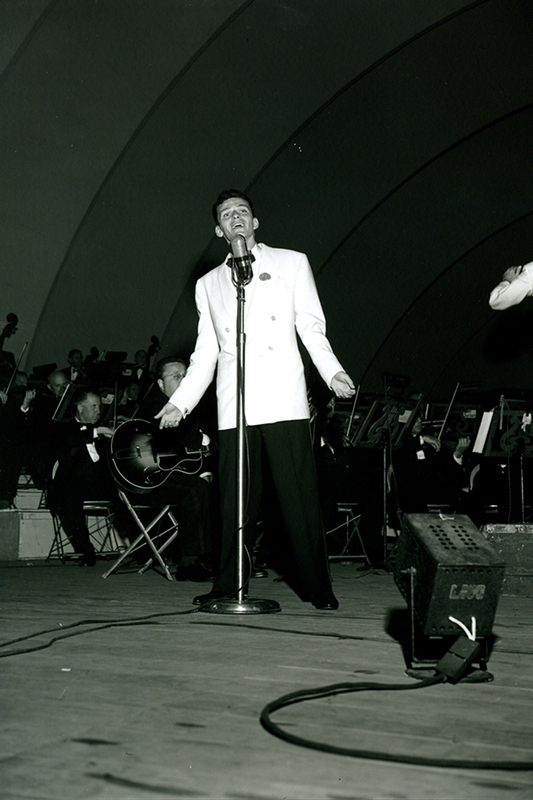 Frank Sinatra played the first popular music show here in 1943, backed by the Los Angeles Philharmonic orchestra.